Price drastically adjusted to account for carpet. 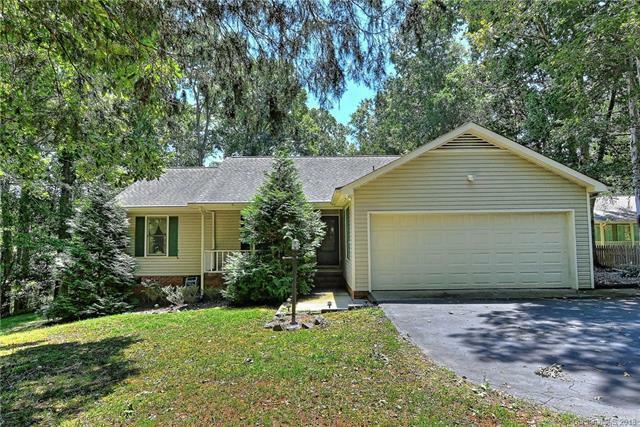 You can make the home your own with the savings.Peaceful Country setting only minutes from I-485 access. Charming home offers a covered front porch, formal living areas a covered deck and much more. The lot is over half an acre and is tucked into a cul-de-sac full of mature trees, lush landscaping, and plenty of privacy and no HOA! This home has a large living room with a trey ceiling and a cozy fireplace with wood mantel. There is a flex room off of the living room which could make a great home office, sitting room or playroom. The kitchen has plenty of beautiful raised paneled cabinetry, tile backsplash and granite counters. Relax on the covered back deck and enjoy an awesome backyard accented by mature shade trees that offer plenty of room for play and privacy!